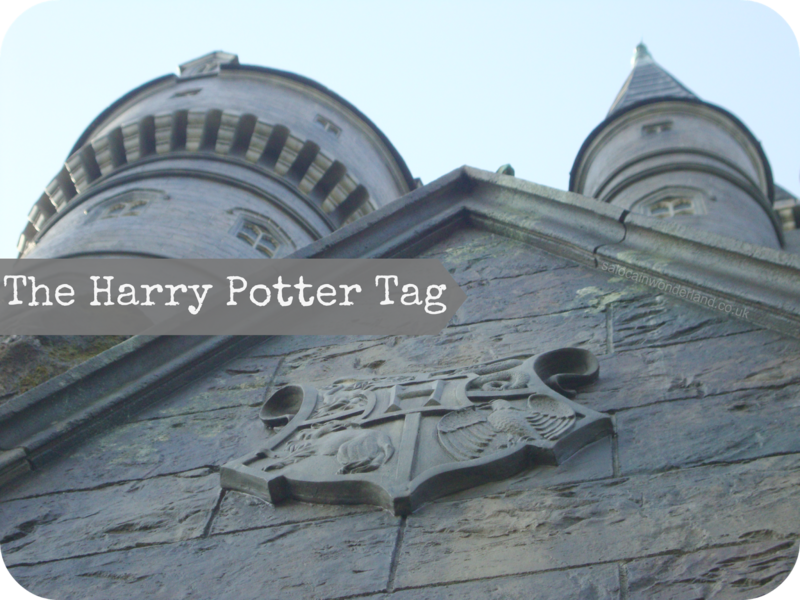 Once upon a time I was a pretty big Harry Potter fan and when I spotted this tag over on Danielles blog I knew I had to release my inner witch and give it a go! Wands at the ready? Swish...and....flick! Goblet of Fire is probably my favouite, so much was happening in that book! I loved reading about the other wizarding schools and all the characters we were introduced to. Prisoner of Azkaban! It’s probably the one I’ve watched the most! Oddly enough I think it’s The Philosophers Stone purely because I had to study it in college. We re-read it so many times and had to study it with such a critical eye that reading it for pleasure was never the same again, I’ve even still got all my essay notes in the margins! Chamber of Secrets. I could never take to this film! It’s easily the one I’ve watched the least. Parts of the books/films that made you cry? That scene in Deathly Hallows when Harry is walking to his ‘death’ and all his lost loved ones are with him as he makes his way to the clearing. A book has never made me cry like that before, I was an absolute mess, sobbing into my quilt at 2am! Luna was probably my favouite, I loved how she looked at the world and everything in it, she also had some great quotes. Somewhere between her and Hermione, I found a little of myself in the books. Lavender Brown always annoyed me, and the Patel sisters. Can I say every line in the epilogue?? The whole thing was so bad I’ve had to staple mine shut! I literally threw my book against a wall after reading that, I’d have rather had no epilogue than that. Don’t get me wrong I have huge respect for Rowling and her writing but the epilogue?? It read like really bad fanfiction! And I’ve read (and wrte!) my fair share over the years. The whole thing was just unbelievable cheesy and poorly put together compared to the rest of the series! I’ve come back to this question so many times, I really don’t know! Maybe a dog? Faithful, loyal, a good friend and fiercely protective over loved ones. If you could have the Resurrection Stone, Invisibility Cloak or Elder Wand, which would it be and why? Invisibility cloak! Not going to lie, I would use it to sneak into Walt Disney World! Maggie Smith! I’d love to take her to afternoon tea, she just comes across as such a lovely person and I bet she’s got a story or two to tell! I’d quite fancy playing seeker! For a clutz like me, it’s probably one of the safest position on the team! And I used to be really good at Where’s Wally? Nope. Believe me, I’ve tried to be, I’ve read all the critical essays, the fors and againsts, the endless forum chats that still argue about it today (and probably always will) but I just can’t accept the ending. Personally, it was a bit of a cop out (sorry Rowling!). Harry and Voldemort should have met the same fate – it was the only way the series could have ended. Sure it would have been sad, but it would have been just and satisfying. I knew nothing of the books until the first movie came out. I remember going to see it with my brother and loving it. On the way home he told me about the books and being the eager impatient beaver I am I stuck my nose right into the 2nd book as soon as we got home. From that moment on I was hooked. I got lost in that world, it was pure escapism for me when reality got to be too much. I could lose myself for entire summers not only in the books but the online community too. It also encouraged me to write and get lost in worlds of my own creation – that in itself is pretty magical! Anyone else out there a bit of a Potter head? Let me know in the comments below! Ahh! Best tag ever. I LOVE HARRY POTTER. 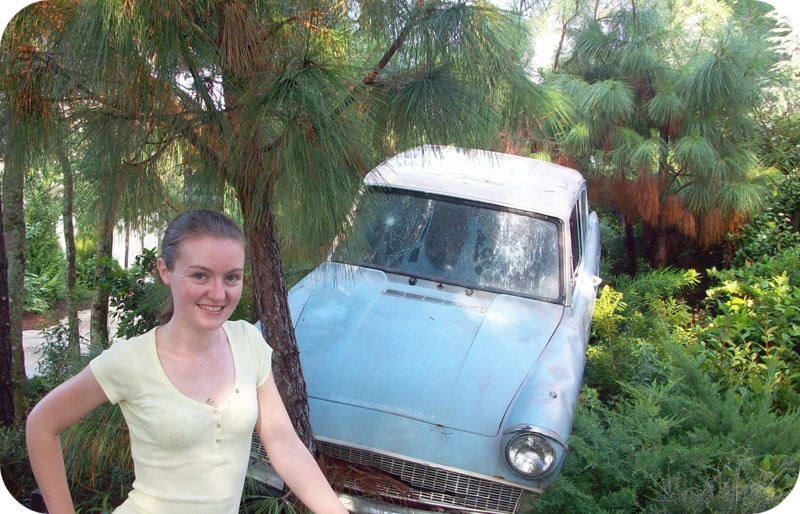 I would like to go to the studio tour for the 3rd time and then fly to Orlando and go to Island of Adventures for the 3rd time ALL IN THE SAME DAY please. Can I come with you?! 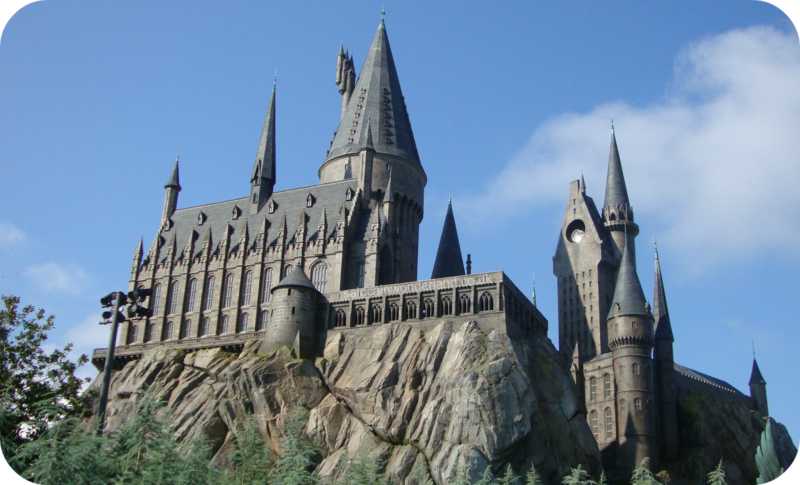 I LOVED the studio tour but the theme park is the one for me, I mean THAT castle!? And the butter bear! I couldn't believe how nice it was considering it was alcohol free! Could go for one of them right about now! Prisoner of Azkaban was also my favorite movie! I think I actually had a crush on Harry in that one lol I agree that Lavender Brown was suuuper annoying! Great tag, I enjoyed reading it! As a passenger on the good ship Harmony, Prisoner of Azkaban gave me much shipping goodness hehe! I'm sorry!! 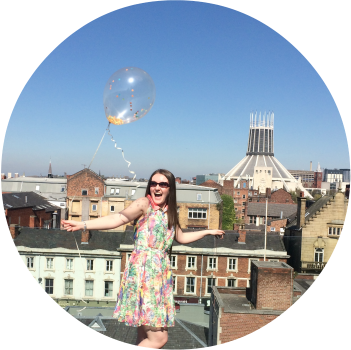 *hangs head in shame*, work, life and a killer hangover left me incapable of putting together coherent blog posts! I'm fresh, sober and putting it all back together JUST FOR YOU! hahaha Cracked up so bad at the Bill Weasley pun hahahah. Glad you enjoyed it! Haha that pun is so bad but I was so proud of it lmao! Ooh I LOVE this! Can I steal it? I am such a Potter geek! Steal away and let me know once you've completed the tag! I love reading everyones answers!